The Employees’ Provident Fund Organization (EPFO) has issued around 41.7 million Universal Account Numbers (UANs). Also, the EPFO is expected to launch its scheme on making Provident Fund numbers portable on 23rd,September 2014. So, it is advisable to know – What is UAN? 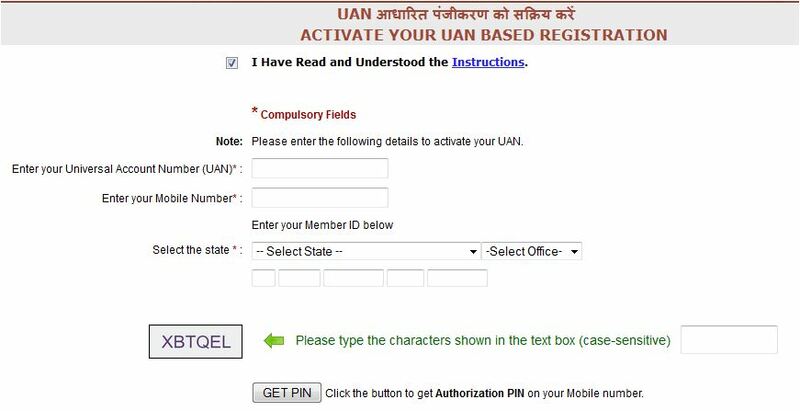 How to activate UAN registration? What is the procedure to update KYC on UAN? What are the facilities available on UAN member portal? UAN is a unique identification number issued by EPFO to its members. A universal number is generated for each of the PF (Provident Fund) Account Number at EPFO. This UAN will act as an umbrella for the multiple ‘Member Ids’ allotted to the same individual (Employee or EPF Account holder). Let’s say you have been working for Infosys for the last 2 years. You might be contributing to EPF through your EPF A/C. EPFO treats Infosys as an ‘Establishment’ and ‘You’ as a ‘Member’ of EPFO. Since you are a member of EPFO, Infosys would have created a ‘Member-Id’ through which you contribute to your EPF a/c. So, Member-ID is nothing but your EPF a/c number. EPFO will generate ‘UAN’ and shares it with Infosys. You have to collect UAN from your employer. Your existing member-id will be linked with your UAN. Next year, if you shift to a different company then UAN remains the same. But, your new company will provide another ‘Member Id.’ This is linked to your UAN. You just need to disclose your UAN/previous member-id to the new employer through Form-11. Like this, UAN will act as an umbrella for the multiple ‘Member Ids’ allotted to the same individual. How to check the status of my UAN (Universal Account Number)? Enter your EPF a/c details and check the UAN status. How to activate my UAN? Once you collect UAN and Member-Id from your employer, you need to activate your UAN. Enter your UAN, Mobile no and Member-ID details. In the next screen enter Father’s / Husband’s name and Date of Birth. Provide Email-Id and click on submit. You may now login to the UAN member portal anytime using the username and password. You can download PF pass-book. This contains employer’s and your EPF contribution details. You can download UAN card in PDF format. You can update your previous Member-Id. The name in the previous ID should match with the name of the current member-id. View the details of all the linked Member-IDs. You can view the Transfer Claim Status. How to check KYC status? You can upload KYC docs by yourself by clicking on ‘Profile’ option. Upload any of the required KYC docs and submit. If you are employed for the first time then your Employer will collect the completed Form-11 and KYC documents from you. These documents are submitted to EPFO by the employer. Your employer will confirm these details with EPFO. Once it is approved by the employer, this information will be pushed to EPFO for UAN allotment/linkage accordingly. The total members of EPFO are estimated to be 11.78 crore as on March 31, 2014. UAN member portal is user-friendly and will be beneficial to all the members. So, next time when you change the job, you need to simply declare your UAN with your new employer. No more troubles with transferring the EPF a/c. Have you received your UAN? Have you activated your UAN registration? Share your experience. Thanks for your response, my UAN & Aadhaar name is different,Can you please help me on this. You need to get your name corrected either in UAN or Aadhaar card. Kindly check your name format in PAN as well. * How to verify PAN online in EPF UAN Member portal? Is your name in EPFO UAN Vs Aadhaar (KYC) same? Partial withdrawal itself is known as Loan/Advance. Kindly read : EPF partial withdrawal options and rules..
Sir, last two days before my PF Transfer shows Under Process, but from yesterday on wards Status Not Available, it means please explain sir. Dear Sridhar .. It may take around 15 days..
Kindly follow it up with your ‘selected’ employer to speed up the process..
Do UAN account expires , my last company has PF facility and now i dont, so just queries to know 1. if their is no deposition in my UAN account will it be closed. 2. is there any minimum duration in which i need to withdrew the amount. 3 if yes then in how many days i should withdrew the amount. Even though there are no EPF contributions, your UAN remains active, it wont be closed. If you would like to withdraw funds then after being unemployed for min 60 days, you may do so. Can i generate UAN If my p.f account of 2011 . I have got new UAN number from the current employer and i have old UAN too.Once i activated the new UAN ,couldnt login to both the UAN accounts.I waited 2 days after changing the password but still the result is same.Even if i try to change the password also it is not working .whom should i contact.could you please help me. I have entered all exact the details correctly as mentioned in my salary slip, not sure what the mismatch is. Kindly help on how to resolve it. I want to check my balance and withdraw my PF amount ASAP. Thanks in advance. Dear Janani .. Kindly submit your grievance to EPFO online, (or) contact your employer regarding name correction. Hi Sir, There’s nothing wrong with my name. My name is correct in my PF account but still why am i getting such mismatch error? And do you have any idea if the would actually respond to grievances promptly and how long would it take? Appreciate you help ! is pf mandatory for an employee..? what exactly happens if company doesnt do the pf,hence no UAN exists…? 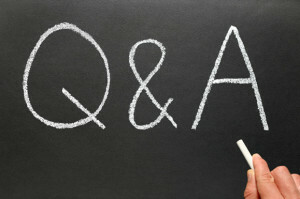 how can we produce a new uan no..if newly joined company ask you for UAN number..? Dear Karthik ..If a company does not offer EPF then an employee can not contribute to EPF scheme. You can generate new UAN by yourself if it is first time, else you may ask your company to generate one for you. Hi actually i have worked for a pvt company due to some misunderstanding from the Hr the PF has to be done in Grocery Firm but my HR has done in another firm now the company is closed and @ present where i am working the company doesnt have the PF, Kindly suggest me what to do and how to do?? I am unable to understand this sentence ‘ due to some misunderstanding from the Hr the PF has to be done in Grocery Firm but my HR has done in another firm ‘. Dear KISHORE ..EPF contributions have to be through your employer only. You may consider PPF option if you would like to save in PF directly (on your own). Kindly read : Types of Provident Funds. Dear Yogesh..Kindly read : How to generate UAN number? I’ve joined new company . and want to continue same PF a/c with uan no. New company hr also deducted pf from my present salary. But last few days i can’t access my uan portal a/c. You have to continue using same UAN number but will get new EPF a/c from your new employer. Did you submit your UAN number to your new employer? I am unable to Transfer previous company PF to Present company PF. UAN was not created for previous company but it has created for present. while doing claim transfer i am getting error your Date of Birth Did not match with EPFO portal database. My previous not cooperating with me now. I have also submitted joint declaration form for DOB correction via my current employer. But still this error persist. Please suggest, is that any helpline number to discussed about this issue. I believe that your ex-employer may have to correct the details that are linked to old EPF account. I quit my job a year back and haven’t joined any other firm yet so haven’t contributed to my EPF corpus. Can you kindly advise on the steps that I must take in order to withdraw it? I have left my company in 2012. It’s more than 4 years now. I am not able to check my UAN status. I want to know my account details mainly which bank is registered. Can you please help. Dear Sumit ..Did you activate your UAN? Dear Jani ..Kindly go through this article : UAN helpdesk portal…. Dear anirban ..Your employer has to approve and verify the KYC details. Kindly follow it up with your employer. In my UAN CARD KYC Status is showing as NO . But against KYC it is showing status as approved by Emploeyer. Dear Sandeep..You may try downloading the latest/updated Card. Else, kindly submit your query to EPFO, click here..(or) contact your employer. I have my UAN and PF account linked with it. But am not able to see any new PF account under my UAN [ideally after 3 month it should be visible still it is not visible and have completed 6 month almost in new company]. Kindly help what is going wrong? Is there any issue with name conflict in my new PF account and old one? Probably yes. Kindly check with your employer. If the name recorded by the new employer is wrong, you may ask them to correct it/ask them to send name change request to EPFO. You have to then transfer old EPF a/c monies to the new EPF a/c. My case also simalr to above, but my name was wrong in UAN portal from previous employer, In present company it is correct, but getting the same error whe I tried to get details for new PF in UAN portal. Is it possible to correct my name from current employer or I should go to previous employer? I believe that you have to take help of your ex-employer. You may first check with your current employer though..
1.In Update KYC link there are two bank account nos of two different Bank are linked. One is my previous organization salary account and another is current organization salary account. Can I delete Previous bank details as I am not using for transaction now. If yes please let me know the procedure. 2. For the current Bank account I have just given the IFSC code and account no but have not uploaded cancelled check . But its been approved by my current employed. How do I upload the cancelled check there , because I could not see any edit option there. Kindly check the required procedure details with your employer, as a self-employed person I do not have access to UAN portal and do not have the required info to provide to you. Is my last employment releasing date will be visible to my new employer through UAN? Dear ankita ..If you are contributing to EPF scheme now, you might have submitted Form 11 to your employer, am I right?? Have you submitted?? Form 11 has information about your previous employment details. I was working with one organization in Pune from January 2011 to February 2013. Then I shifted to my home town Nagpur. After coming to Nagpur i send them PF form for withdraw. They provided me PF number to check status online, but that number also wrong. Now I contact them for PF number they again provided wrong number as well said UAN number not generated thats why I am not able to see PF amount online. What I can do in this scenario. I need PF money urgently. Can I send them any notice from PF office. What is the convenient way to get PF successfully. Dear Kuldip ..Kindly check out your Salary slip or Final settlement document to know about your EPF account number. You can generate UAN number online. Kindly note that quoting UAN number on withdrawal forms is mandatory. As your EPF account is >3 year old, it would have become INOPERATIVE. Read: Inoperative EPF account helpdesk..
My UAN number is 100340389***. Currently i have working new company they give one pf number. All pf amount withdrawal upto previous compnay. How to merge my current PF to my UAN number. I told to current HR about this. They does not help. Dear Satheesh ..You can just link your EPF a/c to your UAN on UAN portal. Your employer will then approve it. I have UAN (1003102923***)account where I could see that my DOB was updated wrongly. How to proceed this. Dear Ravi ..Kindly go through : UAN helpdesk portal..
how to activate employee UAN number ?? I have added a wrong PAN number on my EPF Member Portal and I am not able to edit it. I have tried logging in with aadhar but it is still showing no option to edit my PAN number. Dear Mudit ..You can request your employer to help you out. Hello I have the wrong date of birth in the UAN portal i have requested to change the date of birth online .how can i check and get update regarding the date of birth has been change or not. Did you submit the documentary evidence regarding the DOB to your employer? and they in-turn have to submit the docs to the EPFO. I believe that there is no online tracking facility to check the status, as of now. my previous pf account, uan login, pf transfer portal have same name. Now after marriage i have joined other company with name changed. new pf has changed name. also if i am downloading uan it has also name changed. however uan login, and pf transfer portal still have old name. If you would like to continue with the new name then you have to submit ‘name correction’ request to your Employer/EPFO. You also have to enclose necessary ID proofs which reflects the new name. Dear yaswanth ..Kindly read: UAN helpdesk portal.. I have registered the my company name & PF linked to the UAN by myself.. Now company also registered the same. Now I can see both account on UAN.. Can you please let me know how can i delete which i registered by my self. Dear Jay..You can inform this to you employer and get it deleted. i want to register my new mobile number for my PF account to get massage. kindly suggest me how do i register new number . if you do the needful i will thankful to you. If you remember your password but would like to just update new mobile number, in this case also you can login to UAN portal and update the new mobile number under ‘Profile’ menu option. DOB NOT MATCHING WHAT CAN I DO? I uploaded my Aadhar copy for KYC and asked my ex-employer to verify it. They say they have verified it but it does not reflect on the UAN portal yet. It still shows as Pending. How long does it normally take for the status to reflect on the portal? Dear thulasimani ..Probably your employer has not yet shared your details with EPFO. Kindly follow it up with your employer. Dear thulasimani ..In one of your previous comments, you have mentioned that you have access to UAN Portal. Also, you may ask your employer to inform your UAN number. Dear yogit..Kindly read this article, can be useful to you : EPF UAN helpdesk.. I have a big issue, I worked in IT for 5 years for joined a new company 6 months back . I initiated PF transfer request to current employer. EPFO site says that “amount has been settled and credited to new account”. This means that amount has come to current employer. 2). UAN no is linked to previous employer successfully and it reflects on website. “Confirmation of first time employment/previous employment in your case is pending with your employer. Please contact your employer. 4). I cannot see new member id on UAN card . My current employer is not able to link the UAN with current member ID and making excuses again and again and it is making me worried as it seems my employer wants to cheat with my money. They say that everything is correct but they are not able to see the records when they punch my UAN, how can it be possible? When an employee can download his UAN and track his UAN, then how can a employer is not able to see any information ? Kindly check with your current employer if they are providing the same details (your name, DOB, Father’s name etc) to EPFO? Did they give your new Member Id? Does date of leaving the past organization really matters? My employer is not providing any logical explanation if they have given any details to EPFO office. Nor they are providing any error that shows the issue in linking UAN with member ID. What could be the issue in linking the UAN with my member ID? Yes I have a member ID. It matters, for calculating the contribution period / service period. Kindly check if your personal details (name/DBO etc) are correct. I was working for a software company from last 6 year and now i have resigned and joined another company. when i checked my UAN number status it shows “Confirmation of first time employment/previous employment in your case is pending with your employer. Please contact your employer.”. but my ex employer is not submitting my details to EPFO office. Can i approach EPFO office and submit my details??? also my 1st time employment didn’t had any PF account facility. What about current employer? If they are providing EPF scheme, you may provide your UAN number to them. My previous company has uploaded Pan Card and Bank Account details as KYC in UAN Portal. But did not approve it . It is showing pending. MY Current Company is already shared new one more UAN and Approved KYC. Please suggest Can i get KYC approval on Previous company? Can i withdraw PF of previous company…..
Dear Prabhu..Kindly note that an Employee should have only one UAN. Kindly contact your employer & EPFO and deactivate the old UAN. Also, submit Transfer request of your old PF money to your new EPF account. I Dont know what is my uan no because epfo epfo saying -my date of birth mismatch. so i want to know what is my uan no.please send reply with uan no. Dear TARUN ..You can submit a request as indicated in the article to know your UAN. 1. Will I be eligible to withdraw PF tax free even if I join a new company immediately? The new company also going to deduct PF from my salary. 2. 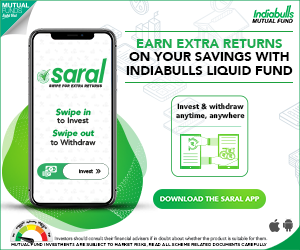 What is the procedure and tax implications of withdrawing the PF? 3. Can I submit PF withdrawal application at the time of resignation? 4. When do I receive PF amount and will it be tax free? 5. If I give more than 1 bank account details on UAN portal, is it good or not-advised? 1 – If you are going to contribute to EPF scheme, you can not make withdrawal, you have to TRANSFER you PF money. 2 – Read : EPF withdrawals & new TDS rules. Please suggest what to do as I applied for my pf in the last company, it got rejected stating member and fathers name incorrect. Now when I checked there is a difference in name for which I have submitted a affidavit on suggestion of my last companys HR, as my father name was added in between my name. Now in my new company i have not yet updated the UAN. Please suggest what to do, as to apply for name change first and then reapply or submit another affidavit. Please suggest and also the process for the same.. Suggest you to first get the name correction done in EPFO database. Kindly read: EPF UAN helpdesk for name correction requests..
Dear manju..Kindly go through this article : UAN helpdesk.. Earlier i worked for one company uan generated and activated later i with drawn pf amount also. Now i joined new company, where i don’t want disclose previous employer details, I generated new uan also from present employer and got new member ID. I repeat i dont want to show my old company details, also old UAN is still active and i want to deactivate completely, i dont want its service or reflecting into my new UAN at any cost. Kindly help me on this !!!!!! Dear Arun, you can contact UAN helpdesk and get the old UAN deactivated. You have to provide both UAN number to them. I have left my job 3 years ago and since than i am engaged in my own business. I have not withdrawn my provident Fund . If i create a UAN now than who will verify my KYC ? Can I withdraw my PF without visiting my Ex-Employer ? Dear Renu..Your ex-employer can verify your KYC details and then you can submit new EPF withdrawal forms to EPFO directly. Also, as your EPF a/c would have become an INOPERATIVE one. Read: EPF a/c inoperative helpdesk.. Suggest you to kindly report this matter either to your new-employer or through email to [email protected] by mentioning your current and previous UANs. After due verification the previous UAN allotted to you will be blocked and Current UAN will be active. Later you will be required to submit your Claim to get transfer of service and fund to new UAN. You may also raise a service request on UAN helpdesk. can employer verify previous employment history while linking pf with new uan ? I am unable to activate my UAN as whenever I entered the member id its shows that UAN & member id is mismatched. problem is I am unable to understand that how to enter as I have 5 digit no then 4 digit no as member id but in portal there is three column . Make sure you ask the employer for member id (which would be the exact details required),alternatively you can take help of the pf mo. on the salary slip if its mentioned by the employer. I had the same issue i figured the tle pf account box had a missing digit, which entered correctly got activated. When i check UAN status it shows that “Request for UAN for this Member Id is already under process. (through ECR)” . so what i will do. i left my job before 2 weeks. my Ex. Employer can’t give infromation what i will do…..
You may ask your ex-employer and find out if they are going ahead with the process of creating UAN. If yes, you can find out your UAN number (once processed) through this UAN helpdesk portal. PF amount is deducted for three months but PF number is not mentioned in my Payslip. If I get a new UAN from current employer for mbl number B with KYC details E&F. Can I activate it? Dear Vinod..If it is allotted and PF has been deducted then there is no need for you to activate UAN separately. Only thing is that the UAN might not have your mobile or bank account details. So, suggest you to get the UAN details by using UAN helpdesk portal and inform about the same to your current employer. My old company may create UAN. But I have not activated. If I got new UAN from my new employer for different mobile number and KYC details. I can activate right. EPFO can reject my UAN only if mobile number or submitted KYC details matches with older one .. Right?? Dear vinod..Kindly check your payslips issued by previous company and let me know if EPF amount has been deducted for three months? is it possible for someone who knows my uan no,my password, and the details to change the mobile number, to withdraw pf money without my knowledge?? i mean any one can change mobile no using the portal if he knows uan no, fathers name, birth date etc. what if some does this and changes the mobile no gets new password. and does what he shouldnt. do we get notified on old number if someone tries to change the number?? Dear Vikas..Very good question. As of now online withdrawal facility is not available. 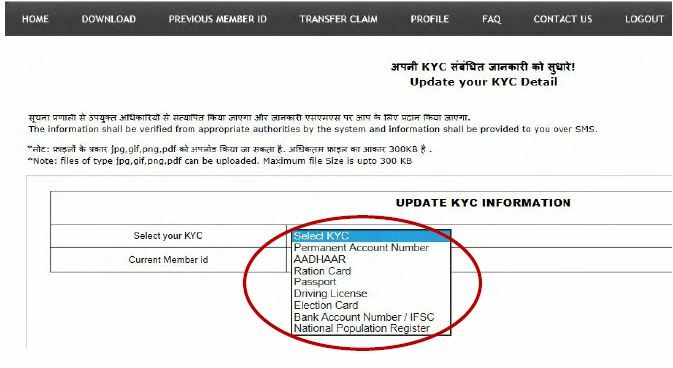 In case they add new bank a/c num, your employer has to approve the KYC details again. Dear Mr.Reddy, I worked in a company for 3 Months till January 2015. But I don’t know my PF accnt and UAN no. I don’t know whether they created UAN for me or not. I did not activate any UAN. Now I joined a new company. They are going to create new UAN. I submitted aadhar, license details, mobile number for KYC in new company. I did not share the above KYC details to old company while joining. This is my situation. If my new employer create UAN … I can use right. ?? Because I am sure that I have not activated any UAN . In case if they (ex-employer) have already created UAN then EPFO may reject request for new UAN, so by this you can come to know if any UAN has already been created or not. I have not activated the UAN. Then why should EPFO reject?? And I have given KYC details which I never shared ex-employer. EPFO rejects only if KYC details matches right? Sir Please do read this whole message. Sir,out of curiosity i mistakenly reset my fathers uan password.my father is a worker in a private factory.sir i wanted to know if his factory needs to be informed about this changed password. i remember he gave some details to company after when the first sms of username and password came.and today i just entered that username and password on uan’s website just to see. but it said wrong details. maybe the company had changed password as i coouldnt login with that first password.so i clicked forgot password and entered details and the password changed.i know some amount is transferred into that account monthly. Does the factory needs to know the current password.Does the company need password to send the money? ?Sir i wanted to know if the company will not be able to send the money without password. is it fine to reset the password.Sir i am really sorry to have typed 3rd message. I am just too much feared.Please do reply. i am having huge tension. Dear Sikandar..Kindly do not worry. There is no need to inform his employer (company) about the reset of password. Now Iam going to join in new company, where i don’t want disclose previous employer details, I want to generate new uan . is it possible? Dear hari..As you have already got one UAN you can not get one more UAN. Even if you get one from the new employer, the EPFO can reject it based on your personal details that are linked to old UAN. Sir, What if UAN account is not seeded with Aadhar, PAN, and bank acc. I mean if it is non KYC, can new UAN be generated? Or UAN portal also sees DOB, Name and other things. You would not be able to make online claims. An employer can generate new UAN without these docs. But, if you have to create one for yourself then Aadhaar is required. My father name & date of birth is incorrect on pf online portal. Can i change these details online. Dear Vikash..Kindly go through this article, can be useful : UAN helpdesk – Complaints & Solutions. HI, While activate the UAN am getting error ” Mismatch in UAN and Member ID”. Dear Alwar..kindly check out this article : UAN complaints & solutions – Helpdesk. I have changed my compny in december. I ledy have a UAN attached with previous member id. Now i attached new member id in existing UAN portal via Previous member id list. I got new member id in the list but previous member id is showing as current member id. So how to make my new membr id as my current member id so that i can transfer to this one. please help me. Dear Akshay..You can get this rectified by contacting UAN helpdesk and suggest you to inform about this to your new employer too. Read : UAN complaints & solutions – Helpdesk. I have a UAN account with my previous employer and when I changed my job my current employer created a new UAN account and insisted me to activate it but I refused and didn’t activate the new UAN account because I have existing balance in UAN with my previous employer so I requested my current employer to map my existing UAN to the current employers PF account and I even raised this concern to UAN with the help of UAN helpdesk and gave all the details and they have given a reference number which I am not able to track. its been almost months and no reply from EPFO helpdesk. please let me know how I can track the changes which I have requested them to do. I had logged in to UAN helpdesk and given them my both UAN details and asked them to map my current PF to my old UAN and deactivate the new UAN. Dear Kiran..But you are saying that you have not yet activated the new UAN (second one)? Try contacting UAN helpdesk again : UAN helpdesk complaints & Solutions. Suggest you to kindly email about this to [email protected] by mentioning your current and previous UANs. After due verification the previous UAN allotted to you will be blocked and Current UAN will be active. Later you will be required to submit your Claim to get transfer of service and fund to new UAN. Dear Srikanth.. I Already had a UAN from my previous company that’s why I have not activated the current UAN.. is it not possible to deactivate the new UAN created by my current employer and map my current PF account with my old UAN account which I have activated with my previous employer? I want to claim my pf. I resigned from my job before one year. Now I not working. I am doing further study. I have my UAN no. but KYC verification showing pending. Now I am not in contact with employer. In this case, can I apply directly to regional office for pf claim by filling new form of UAN ? Dear Jitesh..I don’t think it is possible.. Try to get in touch with your ex-employer. Sir, I did a call to regional pf office (Jodhpur). They are saying that you can claim pf but cant get payment. The payment will be done after 58 years of age. If it is true then what is use of claiming now? New EPF withdrawal rules 2016. I joined one organization in June (I already had a UAN no. at that point point of time which was linked to my previous EPF account) and then left it in Sept and joined a new organization. The new organization quickly mapped my EPF with my UAN but my old organization which I left it in Sept and took some time in mapping the accounts. After constantly reminding them to map my PF with UAN they made a blunder and created a totally new UAN for me and in answer they are advising me an employee cannot have two UAN and I should immediately deactivate my old UAN. From here the actual problem starts I have my existing organization’s PF account linked to my old UAN (apart from my first EPF account). I have no idea what to do now and in worst which account I should deactivate (I have totally lost trust in my previous organization’s management ). Please advise me what I should do now and how to proceed further. What you should advise I should go through my current employer or directly UAN helpdesk? Dear Anshul..Kindly first inform your new-employer and then EPFO. Dear shrikant, i was working with company A for 2 years, there was no pf thing, then i joined company B and left job in 2 weeks, and i later joined company c which is my current employer, in my current employer i did not declare company b, and showed it as i worked in company A for 2yr 1 month, meanwhile i came to know that company B had created UAN for me and shows as establishment co. I am worried as my current employer will come to know about my previous employer B where i just woked for 2 weeks ??? Should i update only my UAN with current employer ? Or just let it be? When my current employer will link new member id or new pf account with UAN will current emplyer come to know abt previous employer and cross check or current employer needs any approval frm previous employer ? Yes, your new employer can find out about your old company. Suggest you to tell openly and let them know your UAN number. Request them to link the new member-id (EPF a/c) to the UAN. Hi Sreekanth, I am 23 years old. Left my job 2-3 months back (Was with employer for 1 year 2 months). 1. Is it recommended to withdraw the EPF amount currently as I am yet to find a new job (from tax and future convenience point of view)? 2. Will it be taxable since I am withdrawing before 5 years of continuous service? 3. When I join a new workplace, what procedures do I need to follow to ensure to transfer the balance? 1 – If you have plans to join a new company, suggest you to wait and transfer your PF monies to the new EPF a/c. 2 – Yes. Kindly read: EPF withdrawal TDS rules. 3 – If your old EPF a/c is linked to UAN, you can just submit your UAN number to the new employer and I believe that old EPF a/c monies will automatically gets transferred as soon as your new employer links new member-id (new EPF a/c) to your UAN. Else, you can place a request online. I have forgotten my UAN password and the registered mobile number is no longer active. And on click of forgot password its send OTP to the registered mobile number, which is not active so i am unable to get message. Is there any solution to update my registered mobile number ? Or any other solution to fix it? Dear Shruti..Kindly read this article : UAN helpdesk.. I was alloted UAN with my previous employer at EPFO Mumbai, Now i moved to a new company(EPF at Haryana) and transferred the savings in my previous company.But still the UAN is reflecting the old EPF no and new EPF no is not geetting listed in the UAN card. Please explain the procedure to link my new employer PF no in my UAN alloted by my previous employer. You have to give your UAN number to your new employer, they will add new epf a/c (new member-id) to your UAN. You said that you have transferred the savings, are you referring to PF money here? If so, to which EPF a/c have you transferred? I believe that the moment, new member-id is added to your UAN, the old EPf a/c monies (provided it is linked to UAN) will get transferred to new EPF a/c automatically. In case if the old EPF a/c is not linked to UAN, one needs to apply for the transfer. I was working with an organisation in 2010 for 6 months and i have not yet withdrawn my PF. I would like to do it now. My concern is 2010 did not have UAN so now how do i go about making that withdrawal. Dear Cassandra..Let me know if you are employed now? I have tried to find my PF balance online by filling up the form and required mobile phone number. I do not have anymore india’s mobile number because I quit from the company since 2013. Could you please advise how to find my PF balance and how to withdraw the balance ? I have PF number but I do not have UAN.Now I live in Jakarta – Indonesia. You can submit your grievance at this link..
You may also submit your request at this link (in case if your a/c has become in-operative). Read : How to generate UAN number? (You may give any other India mobile number to get otp). after shifting my job i had re shifted to the same organization, now I have two member ids linked with my UAN one of my current employer which is continuous and other of my previous employer which is only for half a month. will it create any issue while withdrawing the pf amount. ?..kindly help..
Dear Nimisha..I dont’ think it would create any issue. But you have only one UAN right?? I have to get Pf balance , but I don’t have UAN number , and my last organization has closed , now I facing problem , when I check online , it shows your member id already in process , and it has been 1 week of this status , please sugges what can I do, because it is very urgent for me. May I know ‘where is it showing as in process’? You can generate UAN by yourself, kindly read : How to generate UAN online? Dear VASU..As this query is related to Employer side..suggest you to kindly contact EPFO. My previous company has uploaded Pan Card and Bank Account details as KYC in UAN Portal. But did not approve it . It is showing pending. KYC in UAN Card is showing as No. Member-ID of MY Current Company is already linked to my UAN. Please suggest Can my present employer approve KYC uploaded by previous employer or only previous employer can approve it? I believe that your current employer can approve it. If not, suggest you to upload fresh KYC docs and get them approved by your current employer. Dear Laxman..Probably your employer has already submitted a request to generate UAN in your name. Dear Sreekanth, I am trying to transfer my PF online. I found my father’s name goes with initials in the previous PF account, and expanded in the current PF account. All other details are correct. Will this discrepancy create a problem if submit the transfer form online? It may create an issue. You can submit a copy of ID proof (father’s ID) to your employer and get it rectified. Your employer will verify the docs and forward the same to EPFO for rectification in their database. You may also submit online request..click here..
Do note that this online help desk is still a beta version one. My DOB is incorrect in UAN. I need to amend correction of DOB in UAN. Please advise how to proceed further? Kindly visit UAN helpdesk, click here, you can submit your request online. You may also submit offline request through your employer by providing a copy of ID proof which has the correct DOB details. Your employer will forward your request to EPFO. If a employer has quiet the job and she is currently not working.She needs to close the PF account, for that what should I tell to her and can you explain the procedure for the withdrawal of amount. I just changed my company before 2 months. In my previous company they have generated UAN for me and gave me access. But in UAN portal name and fathers name was wrong. I told them many times to correct it bu they didn’t. Now in my new company , they have opened new pf account but not generated UAN yet. So i am confused that can i use the same uan? if yes i need to correct my details. So how can i correct details without previous employer interaction? otherwise is there any procedure to close previous UAN and create new UAN with Correct details. Please guide me. You have to use same UAN and get your new memeber-id (new EPF a/c) mapped to it. You can get the name corrected by submitting an online request. Visit this UAN helpdesk link.. and select problem type as ‘incorrect details – Father’s name’ and submit your request. You can also get this done through your new employer offline. i am from Nandyal. worked for a govt organization in nandyal from Jan-2009 to june-2015 on contract basis. they terminated me cited the reason as to curtail revenue expenditure due to lack of work. at the same time a case in court is on me related to this job is in pending. as i got terminated in june-2015 i did not go for any job and planning to start a small firm at own. since i applied for epf settlement in sep-2015 the application is remain pending in O/o Director, hyderabad. he is not willing to sign that because of the case is pending in court. i enquired in Epfo,RO,hyd about the issue and they told that there is no such rule to stop epf on the basis of any cases. while the same time employer is not responding to seed the KYC for my active UAN..
i hope u can find and suggest a solution for my issue. Your employer can not withhold your withdrawal request. Has the company been closed? Thank you for responding in such short time..
i submitted my grievance in epgigms this morning. they replied me with a mail that they received the grievance with regn number. Please guide me if i needed to do any necessary representation? do i need to meet the concerned officer mentioned in the mail? i represented the same issue to the Spl. Chief Secretary(Agri) on 31 dec 2015 since then no response from the other side. Dear Dinesh..Let me know the message response details that you got from EPFO. In case if they have given contact details of any EPFO officer, suggest you to meet him in person and present your case. printed Lalit Sharma. Please update my UAN card as early Possible. I am sending you my ID’s Attachment. Kindly never share your personal details on public forums. To get this corrected, you have to submit ‘name change’ request online through UAN portal. You also have to submit ID proof document to your employer. Your employer after verifying your request will forward the same to EPFO. I have uploaded a copy of my aadhaar in UAN for KYC update. My HR says he does not know how to approve the KYC. Can you kindly elaborate the procedure for approving KYC by employer. Dear Vishnu..You may ask your employer (HR) to go through EPFO tutorial link meant for Employer. Sir, I have uploaded my bank account details for kyc.just wanted to know is this detail is sufficient for kyc.I dont understand how employer will know about my bank details as this bank details are not the same bank details when I was working in their organisation.do I have to upload another documents. Dear Deepak..You may contact them and check if it is possible for them to verify your new KYC details. Are you currently employed? hi srikanth thanks a lot for the article. I need your suggestion. Currently I am working with “X” organization Prior to it I was working with “Y” organization. I had withdrawn my PF Amount of “X” organization(prior organization). Here in the current organization I have shared the same UAN, but not able to see the Account details of my current organization “Y” in the UAN Portal. Could you pls suggest is the same UAN Valid even after withdrawing the PF Amount. Can my current organization use the same UAN even after I had withdrawn the amount of previous organization. Yes, your UAN is valid for the new EPF account too. Kindly check this out with your employer. Check if the member-id that you have added is correct or not?? After withdraw are you able to see your old account details in uan or is it removed…please clarify. I believe that one can still view the old EPF account details. My previous company pf a/c no established in HYD/AP but curently i am working in another company in odisha,already i was applied for withdrawing my pf balance from HYD/AP from 2 months before but till the date i ‘m not getting my pf.Pl advice me may i with draw the same in Odisha pf office & what is the process of getting my pf balance?? Dear prafulla..Did you activate UAN? As you are currently employed, you are not eligible for withdrawal. My Account no was updated in UAN portal but my aadhar was not link and i left the job more then 1 year and my employer not sign my pf form should i process with new UAN form or not, or please suggest me for how to withdrawn my PF. Dear dheer..Why is your ex-employer not processing your withdrawal request? Are you currently employed? Can you please let me know is it possible to withdraw the PF amount if I move out of India..! As I am planning to move to US in next academic year mostly in March end if possible, Please provide me details regarding this. Yes you can withdraw your EPF money if you are moving out of India. Dear paramjeet..You can get this rectified through your employer. You have to submit relevant document copies to prove your correct age and name. I have forgotten UAN and EPF No. Pleases suggest, how can I get it ? Dear Ranjan ..Are you currently employed? Is EPF a/c an old one? how to get my pf account no? Dear supriya..Kindly contact your employer. previous employer wrongly entered date of realeave date 01.12.2014 insted of 05.11.2014. You may have to contact your Ex-employer and get this done. They can update EPFO by providing correct details. On the UAN website , when I am trying to activate my UAN, On that page, when I enter the details and my mobile number , it shows “Date of Birth is mismatch”. I have tried to activate my UAN for the first time and dont know why there is a mismatch . Check with your employer if the DOB details available in EPFO database is correct or not. If you find any discrepancy, you have to submit age proof docs to your employer, they in-turn can send the request to EPFO office and can get this modified. On the UAN website , when I am trying to activate my UAN, then, not gettign PIN on my mobile number. Therefore, I tried to check my UAN status. On that page, when I enter the details and my mobile number , it shows “UAN account no. and registered mobile number mismatch”. Although, on the employee provident fund website, I can login using this mobile number. I am not sure what could be the reason for this issue? Kindly contact your Employer for assistance. dear my uan password forgot how to change new. With the help of UAN No can anybody know about the details of previous Company? I was activated the UAN last year. Currently i forgot the password and somehow the register mobile number got expired too. Hence went to UAN help desk and selected the option to “forgot password and changed mobile number” .even I too recevied the OTP to my new mobile number but i can not find anywhere the option to use that OTP and change the password on my account ? can you please share the information about that where exactly i should enter that OTN to change my password ? My UAN number linked with three account but my date of joining (DOJ) and date of ending (DOE) is showing wrong in previous two account. Please help me how can I correct my DOJ and DOE in previous PF account. Dear Umesh..you may have to contact your Ex-employer and get this done. Dear Ajinkya..I am not very sure about this one. I believe if you apply for transfer then they may come to know about your Ex-employer details. My uan account has been activated. My register mobile no password message have deleted. i have require password. Please reset uan login password and send my registered mobile number. PF account no. DL/CPM/27013/6219. My PF NO. is PU/PUN/000687. I was working for Openview Technology private limited. I dont know about the Establishment code And extension. Please help me out to get the Establishment code or please let me know how can i get the address where my PF is maintained. Dear Dinesh..Kindly check with your employer. I uploaded my KYC documents on UAN webiste, which was approved my the employer. But on the UAN card, it still shows KYC “No”. I uploaded, AADHAR, PAN and BANK details. Is there anything which i am missing ? Dear Sarfraz..Kindly check with your employer if there are any discrepancies ?? I am also facing problem like Swapnil Kondvilkar.Can you help me how to reset the password?In website,they mention as we can change by clicking on Edit profile.But my concern here is i forgot my password and my number has been changed.Is there any alternative? I have been receiving lot of queries on this issue. I do not see any detailed update or answer on EPFO website too regarding this one. Suggest you to check with your employer. I somehow forgot my password and also I have changed my mobile no. Now when I request for password change , it sends the password to the old mobile no, which is not active at the moment. Now how to retrieve the password or change the password. I have shared the FORM 11 and KYC details to my present employer to map new PF with existing UAN (which generated in last company). Generally what is the lead time to update the in EPFO. Dear Madhu..I do not have information about this..
Can I change my D.O.B after activation UAN ? Yes, you can change your personal details. Submit a change request and you may also have to submit required ID proofs to your employer (they will check them and get it approved from EPFO). If you want to withdraw your PF money, suggest you to approach your ex-employer in person, submit PF withdrawal form and PAN card copy. Your employer will then forward the docs to EPFO office for withdrawal of funds. I have got two UAN numbers one from my previous organization and one from my current active one. 1) How do I link the member id of the old organization to the UAN of the new one. ? 2) I believe I should use the UAN provided by my current organization or should I use the UAN of the old one. You can have only one UAN. Are you referring to member-IDs (PF account numbers)?? If you have linked old epf a/c to an UAN, you just have to link new EPF a/c no to the old UAN. How can i link my current PF number to old UAN. Dear shekhar..Kindly follow the steps given in the article. I worked with an organization from may2010 to sep 2011 and then I joined another organization in dec 2011 where I am stil working . Now I want to withdraw my PF of the organization where I was working till sep 2011. But I don’t have the UAN number of that organization. Is there anyway I can withdraw my old PF money. Since you are employed now, you may transfer the old EPF money to your new account. Have you activated your UAN? Kindly read my article : How to transfer EPF a/c money online to new A/c? i have lost my register mobile sim in u.a.n. service and forget my uan password. then how to update my new mobile no. in uan service & new password. I got my UAN recently. Even after 48 hours of activation, I am not able to download the passbook. Do I need to do something beyond activating UAN. How to link my previous PF accounts from earlier companies to the UAN. Last 3 days there was scheduled maintenance work going, due to which I believe that UAN related webservices were not available. Did you already transfer your old PF monies to your existing Account? or Yet to do? How do i link my new pf no. to existing UAN. Dear Deepa..I have explained about ‘how to link new PPF A/c to UAN’ in the article. Kindly go through it. I have UAN number but forgot my password and also lost my my registered mobile number, please help me how to retrive my UAN password. Appreciate your all help and support. Suggest you to buy a new SIM card with same mobile number and reset your UAN password. Why are you hesitating to share the old EPF a/c details with your current employer? I have worked with an Organization for 3 months Feb-May 2014 and they have provided me Member ID. Due to some reason, I have left the job(due to some reason) and get my entire PF debited from my earlier PF Account. Now I am not aware of UAN nor my Former Employer told me and I am about to start new Job where I have not shown previous job details. Now when new Employer will open my PF Account is there any possibility that new Employer would get to know about previous Employment because of Seeding of any KYC like PAN Card which new Employer probably would use. Contact your previous employer and find out if they have already issued UAN, if so you need to provide that to your new employer to map the new member-ID. My new employer linked my UAN to the new PF account. He approved it. But its been 1 month, and i dont see my UAN linked to the new PF account. It only shows the old one. Kindly contact your current employer and check out if any KYC documents needs to be uploaded. My current employer has got acknowledgment of successfully approved. There can be chances that name mismatch etc things can happen. I was working with a company till 2014, and was there for 4 years. I have my UAN linked with the PF account with this company. I joined a new company few months back. I received a new PF account number from the news company. I provided my UAN number to the company and they are claiming that they linked my previous UAn with this new PF account as well. Meanwhile, using http://memberclaims.epfoservices.in/, I claimed File transfer of my previous PF account to the new PF account and found that the file transfer is completed as per status by the EPFO concerned. My question is, still now in the UAN portal (uanmembers.epfoservices.in), with my UAN, I can view only my previous PF account details (though it is showing that all the funds available there is now transferred to somewhere else!!!!). There is no trace of my new PF account linked in this UAN number till now. I am a concerned as I can see my previous PF account is empty as the fund is transferred to somewhere else (should be to my new PF account!! ), while there is no record of my new PF account in this UAN!!! 2. Check whether the funds in my previous PF account is actually transferred to the new PF account. Suggest you to immediately update your current employer and let them know your EPF A/c status. Check with your current employer if you need to submit any KYC documents or any approval is pending?? i have my UAN number but when i tried to login it shows invalid credential and with the help of forget password i had receive username and password but this also not valid when m login with this new details it happen continiously can you help me on same ???? Kindly contact you employer dear Sangram.. Either login password or mobile number is mandatory to change login pwd / update mobile number. Suggest you to check with your employer if they can help you regarding this matter. My old employer has created my UAN no. But my name is misspelled there and even dob is also incorrect. Now in my new organization my new pf account was created with my correct name. So now am unable to link my new pf account under the existing UAN no. I want to change my name in UAN. But I don’t want to approach my previous employer for this. Because they will not do any favor for the employers who left the organisation. I can go directly to EPO office for this. Please suggest me the solution. You can contact your current employer. Submit ‘change request’ along with KYC documents to your current employer. They will co-ordinate with EPFO office to get the details changed in EPFO’s database. You have asked me to approach my current employer, but when i have approached they said that they cannot initiate anything on behalf of previous employer. Please suggest me whether I can go directly to pf office for these corrections. I believe that is a better option. You can find EPFO regional office addresses on EPFO’s website. I left a company more than 3year back and want to withdraw pf amount to my bank account. Is there any option I can withdraw amount online from epfo site directly to my account. Yes, you can do so. Have you activated your UAN? I need small information. I have UAN card . I want to change Details ,Which are in UAN card. Like NAME or Fathers’s NAME , if it is wrong. How can we change it.? I believe that you have to apply for ‘change request’ through your employer and have to submit supporting KYC documents. Your employer in turn will contact the concerned EPFO office to get the changes done. I Have got two UAN number , one from the previous employer (which I have already active it), and new UAN number generated from my current employer. What should I do to retain 1 UAN number only. Only one UAN is applicable for a member. The new one can be your Member-Id, kindly map it to your UAN. You may have to contact your employer only. UAN doesnt cover the trust maintained by each company. So the portability or transfer occur only for the account held at EPFO. This is some what confusing. Even the employees who are members of PF pvt trusts, would still be given UAN numbers. You may contact your previous organization (HR dept) to know about your old member-id. After that, you can link previous member-id to your UAN. Remember, the name in the previous ID should match with the name of the current member-id. Valuable info. I uploaded kyc docs after reading your article. Prateek – Thank you. Follow up with your employer and get the kyc accepted.